The most quietly famous hockey resident of Poulsbo has a view of the Hood Canal from a home on five wooded acres of gorgeous Kitsap County property. Bert Marshall also has some well-honed views on Seattle’s incoming NHL expansion franchise and the importance of hiring the right team builders, starting with the general manager and then the coach. During 15 NHL seasons, Marshall, a stay-at-home defenseman, played for some of the best and worst teams in league history: from Gordie Howe and the mid-1960s Detroit Red Wings, to the California Golden Seals expansion disaster, to a New York Islanders squad that grew into a dynasty. But by the time Marshall got to the pre-dynastic Islanders, the architects of that squad were leaning on him to show younger players the work ethic needed to differentiate the best from worst. He’s paying attention locally now to how NHL Seattle builds its own on-ice product. The group has considered hiring a GM this summer rather than next year, a decision hinging on the caliber of candidates expected to become available. Marshall had no hockey ties here but grew up in Kamloops, B.C., and would visit his grandmother and other family every summer in Snoqualmie. 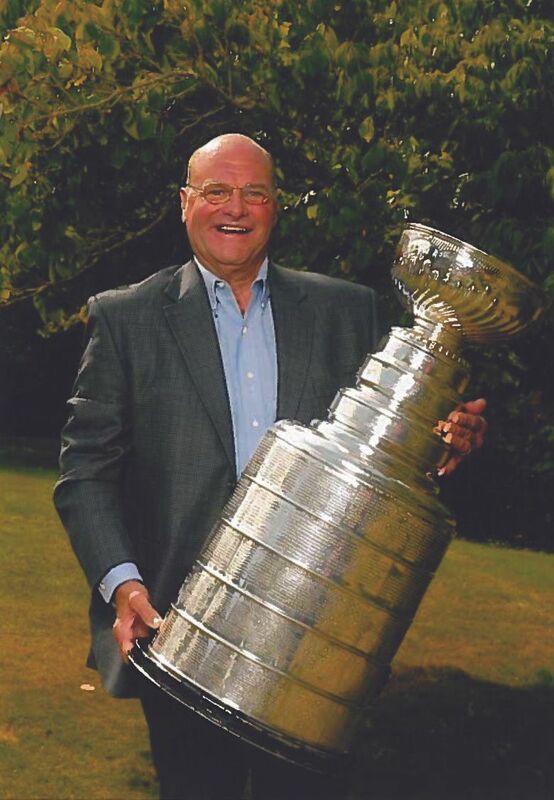 He liked the state and jumped at the chance to relocate here in 1997 — 18 years after his NHL retirement — as a local junior-hockey scout for the Carolina Hurricanes. Remarried after his first wife had passed away, they settled in Puyallup, but frequently visited with an aunt living in Poulsbo. In 2005, the property next to hers went on the market, and Marshall snatched it up. 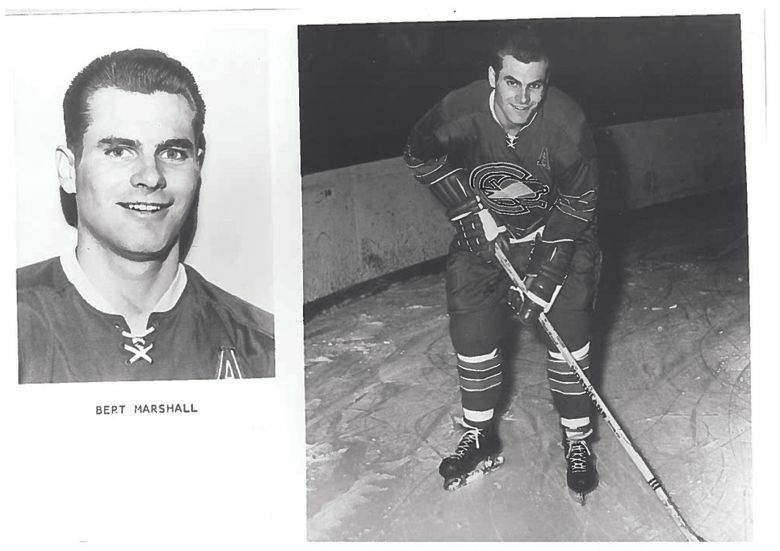 Finding an NHL home had proved elusive for Marshall after finishing runner-up for the Calder Trophy as Rookie of the Year in 1965-66 with the Red Wings — who lost that year’s Stanley Cup Final to Montreal. A year and a half later, he was dealt to the Seals in their second year of existence. Marshall helped the Seals reach the playoffs the following two seasons before the franchise went progressively downhill. By 1972-73, having played the most games in Seals history, he was a late-season trade to the New York Rangers before they were eliminated by Boston in the playoffs. But that changed when the coach of the fledgling Islanders, Al Arbour, who’d worked the Seals bench when Marshall was there, gave him a call. The Islanders were coming off a record-worst 12-win debut season, but Arbour and general manager Bill Torrey had big plans. Unlike the Seals, stocked with aging veterans, the Islanders were younger and Torrey and Arbour planned to get younger still. The next several seasons, they’d draft future Hall of Famers Mike Bossy, Denis Potvin, Bryan Trottier and Clark Gillies. “He said ‘We’re a young team and we’re going to get better but I need you to help me with these guys’,’’ Marshall said of Arbour. The Islanders improved their point total every year during Marshall’s six seasons, becoming a perennial contender well before winning a Cup. In 1974-75, they became the second NHL team to overcome a 3-0 playoff series deficit, knocking off the Pittsburgh Penguins to reach the Cup semifinals. Then, they almost turned the trick again against the defending champion Philadelphia Flyers the next round, overcoming another 3-0 deficit before losing the seventh game on the road. Marshall feels those playoffs were a franchise turning point. By Marshall’s final season in 1978-79, the Islanders posted the league’s best record. But they were stunned in the playoffs by the New York Rangers, ending Marshall’s shot at having his name engraved on the Stanley Cup. The Islanders would win four straight titles starting the next year. Marshall took solace in earning Cup rings for the first two of those while coaching the Islanders’ farm club and then — after a forgettable 24 games coaching the NHL’s Colorado Rockies in 1981-82 — garnered another ring as a scout with the Hurricanes in 2005-06. Earlier this month, Marshall was back in New York with other former Islanders as the team honored Torrey, who died in May at age 83. Marshall reconnected with several teammates, but came away somewhat wistful. The previous week, Hall of Famer Ted Lindsay died at age 93. Though Lindsay retired from Detroit the year before Marshall’s rookie season, he still hung around the team. Then, the same weekend he was at Torrey’s event, his former Seals teammate, Hall of Famer Harry Howell, died at 86. Marshall has had both hips and a shoulder replaced, but says he’s doing fine mentally and still plays doubles tennis despite all the knocks he took. As a high schooler, he’d scrambled to collect an autograph from the legendary Howe during a Red Wings exhibition game against their Vancouver farm team at an arena in Penticton, B.C. Within two years, he was sharing a dressing room with Howe and taking elbows from him during practice. “He thought that he could toughen you up by playing hard against you and that it would make you a better teammate,” Marshall said. And though Marshall knows the game has changed plenty since, he hopes the new Seattle franchise puts the right leaders in-place — from the GM, to the coach and on down — that can demand the best out of players.